In Dec 2012, MET added the Buell APC Technologies back into our portfolio. Click (here) for the full Press Release. 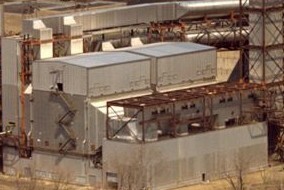 Buell APC, a division of MET - Marsulex Environmental Technologies, has an extensive background as a principle supplier of systems for the reduction of PM10 and PM2.5 among a wide array of industries including electric utilities, petrochemical and refineries, pulp and paper plants, mining and cement facilities. Our designs and experience enable us to constantly adapt to the current and ever-developing needs of the industry, allowing us to provide our clients with the best available technologies to meet their current regulatory needs. Our commitment to quality is an essential key of our vow to ensure complete client satisfaction. 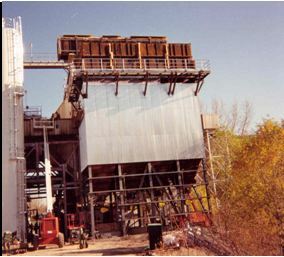 Our custom engineered products include electrostatic precipitators, rebuilds and upgrades, ESP-FF conversions, custom Pulse Jet Fabric Filters, and replacement parts for all OEM precipitator designs. Our services include design and structural engineering evaluations, precipitator inspections, on-site technical advisor services, field troubleshooting and training. Buell APC draws from a reputable history of design, manufacture, installation, and servicing of electrostatic precipitators and baghouses to fulfill each new project. Our team is comprised of proficient engineers, applications and project managers, and field service representatives, whose experience in particulate control technologies average over 25 years each. Buell APC and MET have united, with a commitment to provide you with performance based solutions that will meet your project needs.